Private company fundraising is becoming more diverse, robust, and complicated by the day. This is good news for private companies, but not without some downsides. 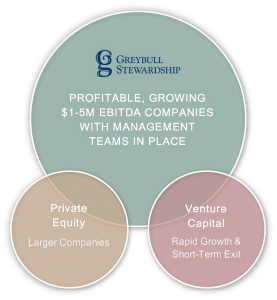 A core hypothesis of my investment fund, Greybull Stewardship, is that there are huge numbers of awesome companies that do not fit the traditional venture capital or traditional private equity mindset. Greybull exists to provide certain companies an ideal investor. Usually, that means the companies value our ongoing structure and strategy. We do not swing for home runs (and therefore we do not have strike outs). We have an evergreen fund structure (no fund expiration after ten years) that allows us to avoid placing fund-level limitations and restrictions on our portfolio companies. We are also not a family office, thank goodness, that shifts strategies as the hired hands come and go and the family members have changes in their lives (and drama). Our investments are free to pursue the strategies, growth rates, and exit timing (or not) that makes sense for their businesses. This graphic shows the focus of Greybull Stewardship from a broad perspective that is different from the traditional private equity or venture capital flips. More excellent companies every day are deciding that the traditional financing models are not ideal for their businesses. And there are more diverse capital sources that could be potential matches of fit and focus. The latest example of this broke out last week in a blog from Henry Ward at eShares which was then was riffed about in the blogs of prominent venture capitalists: Fred Wilson in ‘Go East Young Man (or Woman)’ and Brad Feld in ‘Unicorns Without the Magic’. Fundraising is a filtering process, not a popularity contest. I could tell within 5 minutes of meeting an investor whether he or she would invest. . . . . Fundraising is simple: find investors that get excited about your company. It is a filtering exercise. Too many founders believe they have the wrong pitch instead of realizing they have the wrong audience. We were 0 for 21 with Silicon Valley VCs. I never got close. Most of the big firms wouldn’t even meet. By Silicon Valley standards, we’re a weird company. How to filter effectively for fundraising? Use the associates at investment firms for your purposes. Use the quick 15-30 minutes phone calls from investment firm associates to gather information. In many cases, they will be reaching out to you to see if your company fits their profile and will ask questions such as your revenue, growth rate, total addressable market, competitors, etc. Answer their questions succinctly and you will be able to tell whether you fit their filter. Whatever you do, do not try and morph your company to fit their filter as it is better to move-on quickly than try and fit with a fickle firm. Then, have your own filtering questions such as their typical check size, company stage, capital and time left in their current fund, profile of their target investments, industries or market focus, and probably more company specific questions relevant to your situation. Filter without using up your own time. Be clear in your communication and use other tools and provide information designed to filter. Blog posts, the initial info you provide about your company, your website, etc. should all be tools to help you find your especially excited investors without wasting too much of your time. Most importantly, you should describe your company clearly and succinctly and describe what you are seeking. Some people think that they will keep it vague and then morph their company and opportunity to the tastes of the investor. That is the easiest way to waste a ton of time. You are better off getting early ‘No’s’ by being clear — than keeping a lot of vague prospects on your mental list. Ask for referrals. Tell people exactly what you are looking for and ask for referrals. There is a reasonable chance that a chain of referrals will lead to a firm that is a good fit. For this to work, you need to be very clear for what you are looking. This is sort of like job-hunting — it is easiest for people to help when they know exactly what you want (even if you are faking your conviction a bit). Look for geographic and philosophical diversity. Try looking in different areas of the country and investors that are likely to think differently than the traditional venture lemmings (I mean ‘vc’s’). Spread the work out over time. 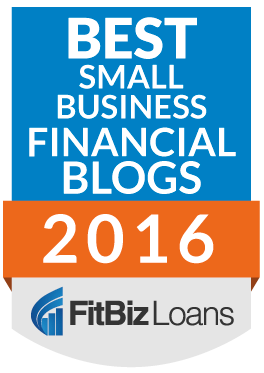 With a short time deadline, it is difficult to make the diversity of financing sources work to your advantage. It is better to spend little amounts of time every week well in advance of needing any capital. Filter without traveling — until you find people who are excited about you. Do not waste time traveling until your filter has identified financing sources that have made it through the biggest filters.